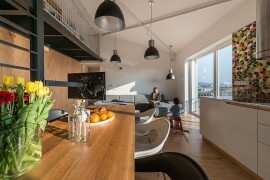 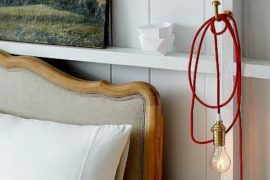 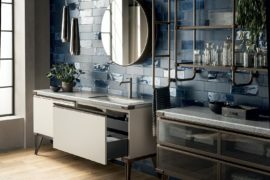 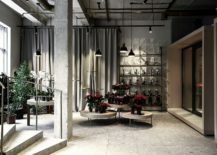 It is always lovely to watch contrasting elements combine to create an interior that is unique and exceptional. 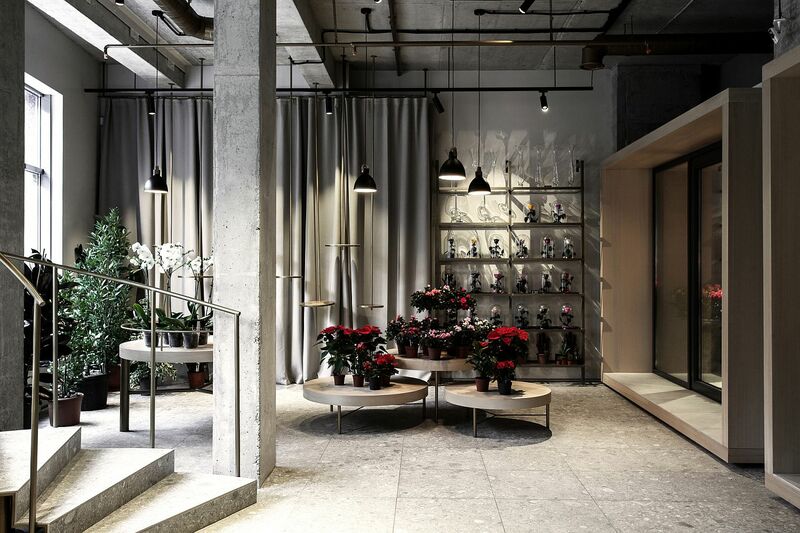 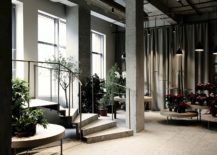 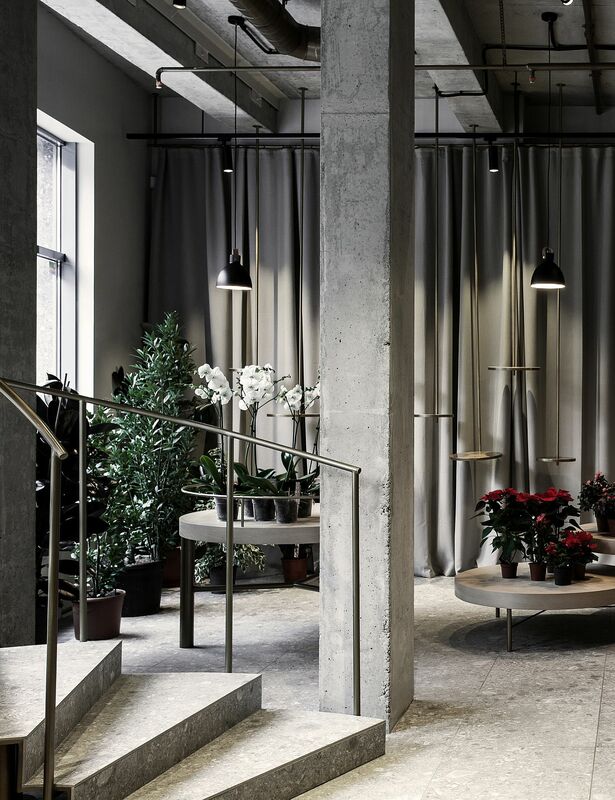 This flower store in Dnipropetrovsk, Ukraine is one such beautiful setting which takes you away from the normal image of a flower shop that you have and into a world that is much more stoic, minimal and full of industrial vibe. 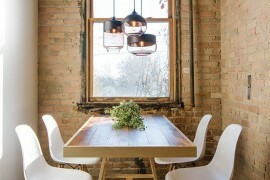 You would think that moving away from the usual white, pink and plush colorful sections would make it less appealing. 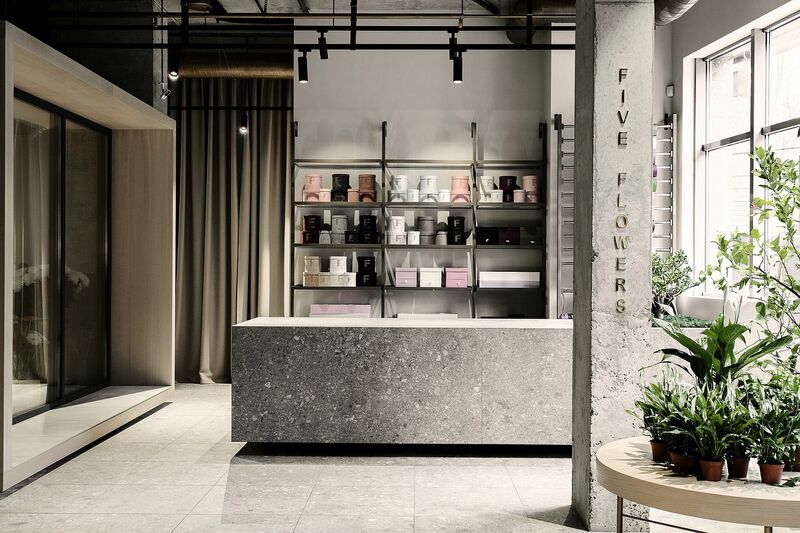 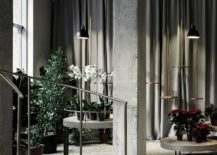 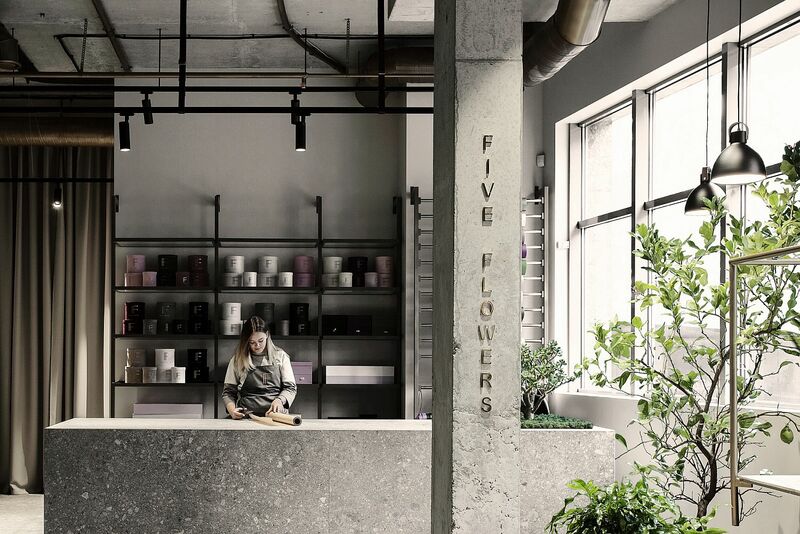 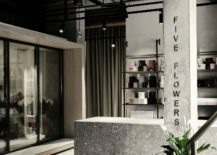 On the contrary, the interior of Five Flowers accentuates the beauty of plants and flowers it holds as the backdrop created by Nottdesign allows them to shine through! 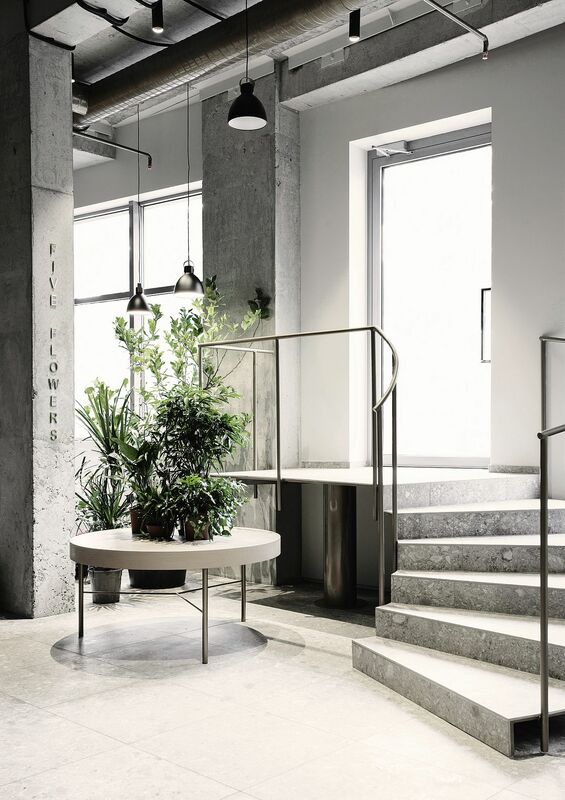 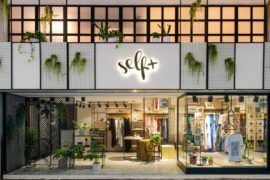 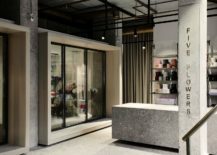 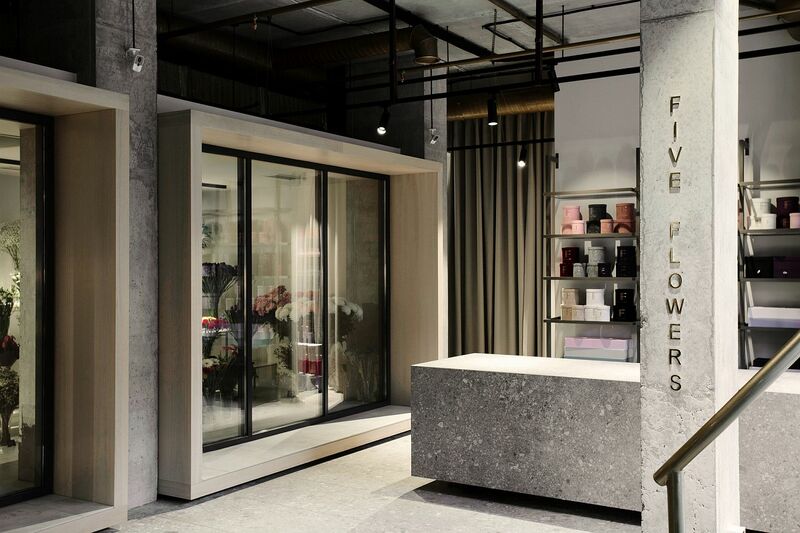 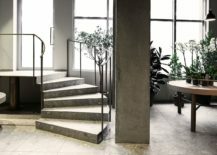 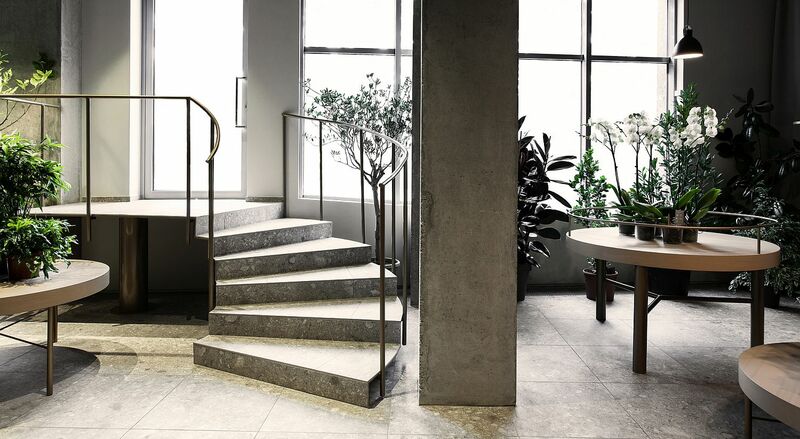 Simplicity takes over inside this light-filled store that sits just a touch below the street level and exposed metallic pipes, concrete walls and an overdose of gray give it a ‘contemporary minimal’ vibe. 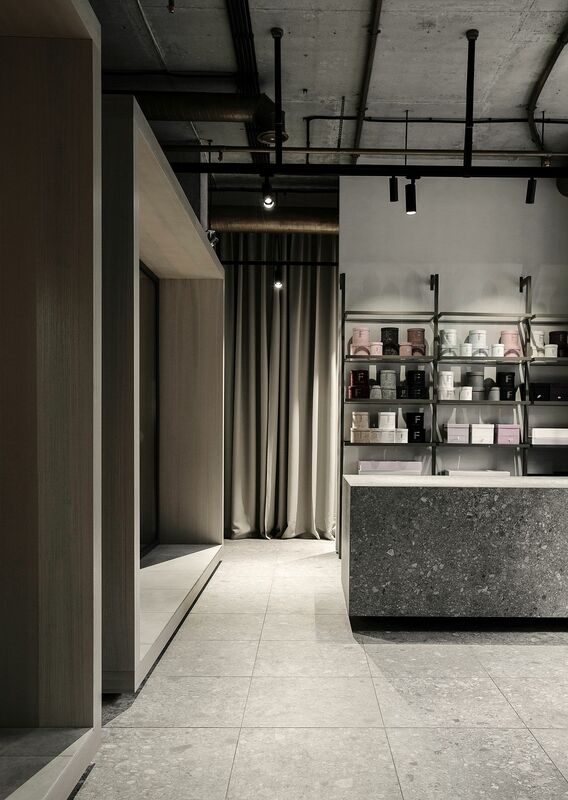 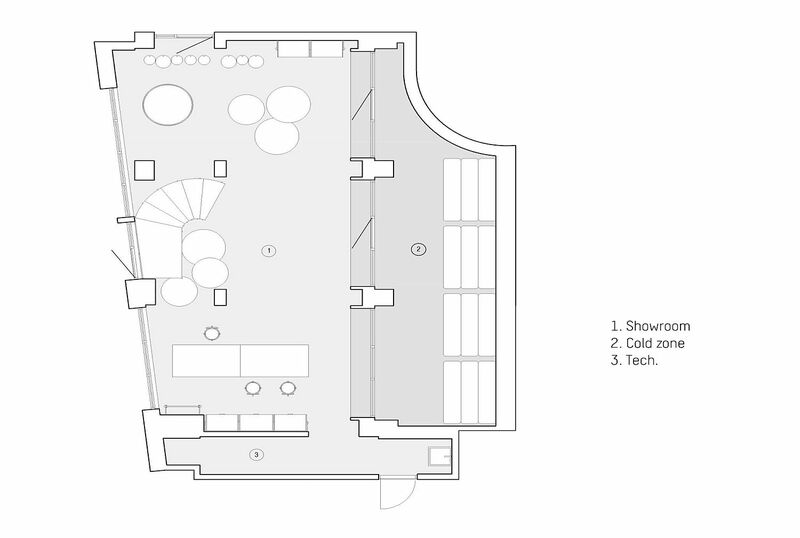 Divided into three different sections, the store feels inviting and also sophisticated at the same time. 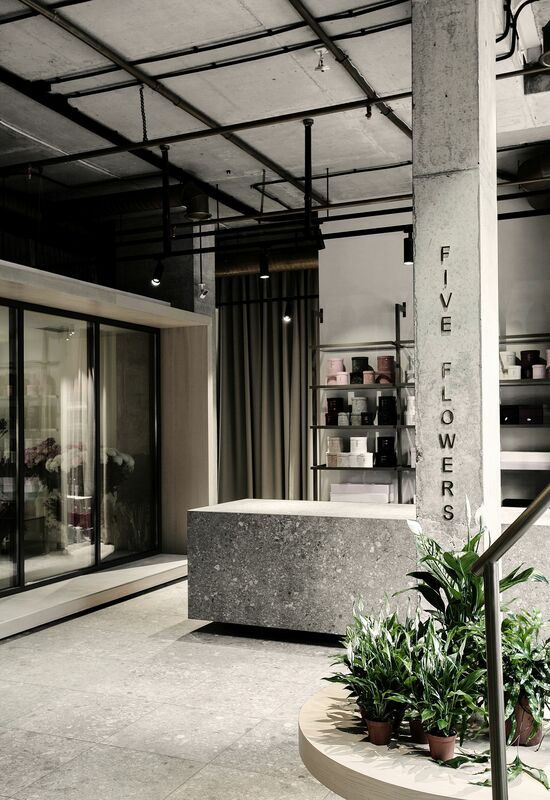 Plats and flowers on display seem like the only elements that give it the much needed ‘warmth and natural elegance’, making them even more special than usual. 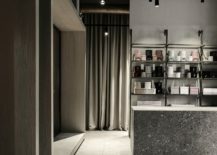 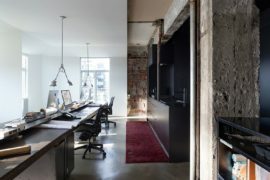 We also love the use of track lighting and pendants in black throughout; a feature that accentuates the industrial aura of the store. 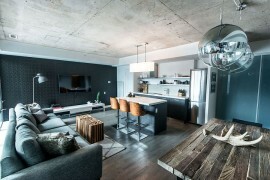 Open shelves in matching black hue and metallic accents complete a setting that charms you almost instantly. 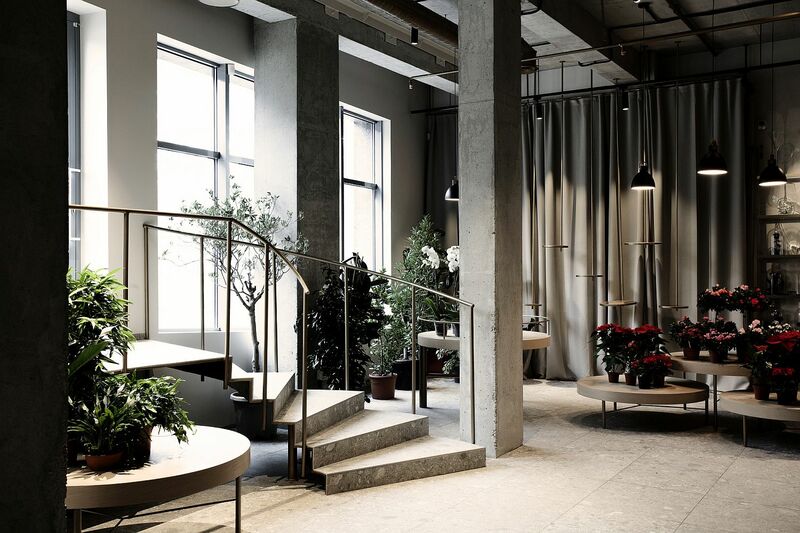 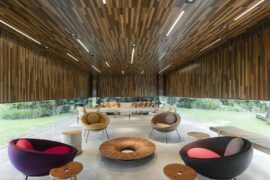 Walk in and you will discover nature in a whole new context and in an ironic way, the design of the store tells you why nature is so very important and special for all of us.